Fire Safety Rocks: Wow! Big News! How cool is this? 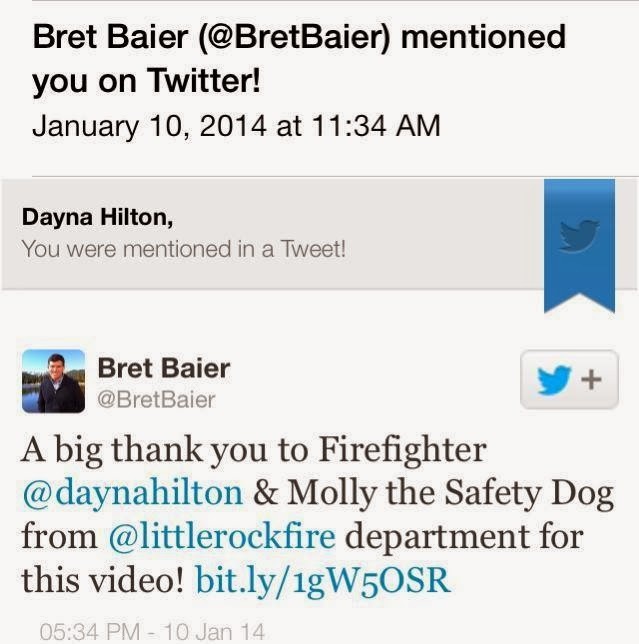 Bret Baier from FOX News "Special Report" tweeted about a video that I sent him today! 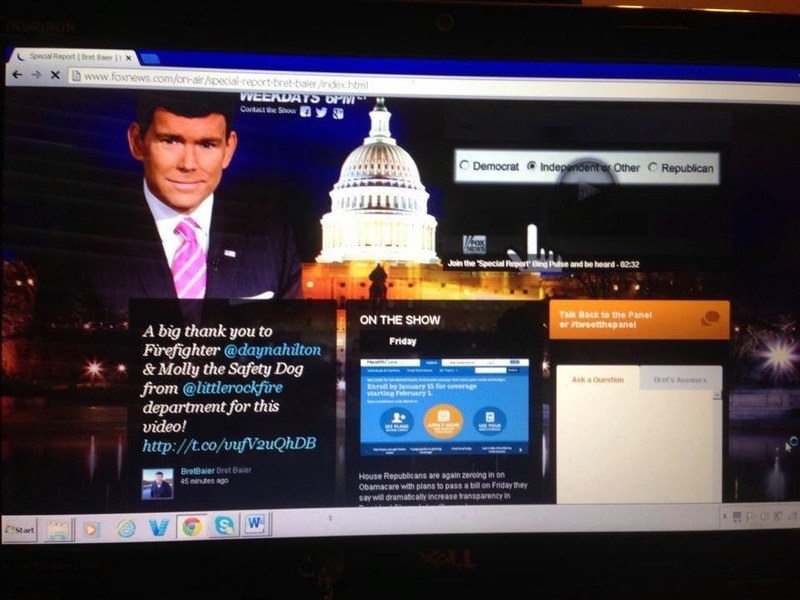 Check out the front of his webpage! I was so excited that he tweeted about my video!